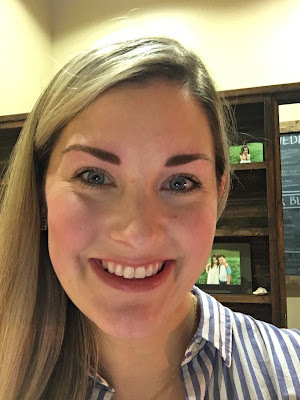 Eyebrow Microblading 101 - The Mrs. & Co.
I’ve been interested in microblading my eyebrows for a while now and know a handful of people (including a fellow blogger friend- Amber Massey) have had it done – and I’ve loved seeing their results! 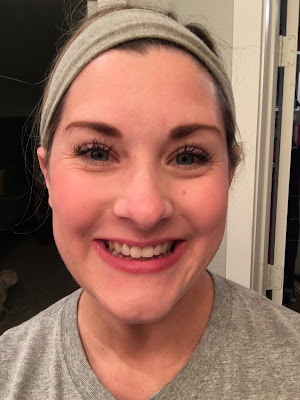 Aside from my love for the overall look that microblading your eyebrows provides, I loved how permanent makeup can help save time in one’s morning routine. Especially for those who prefer to color in their eyebrows regularly or are having a hard time with their shape like me! I wasn't able to have it done while pregnant so I was so excited to finally get it done after having Landon. My advice is to ask around! 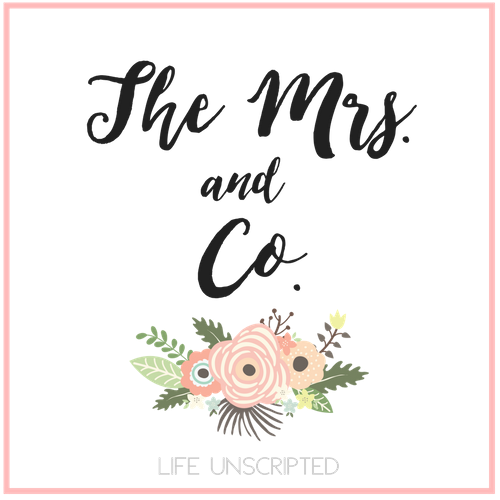 Your best bet is finding someone that a friend used that can give a real review on their services. Once you've found someone, ask them about their training. Do they have a license, where did they receive it. Amanda at Harper Blvd Spa did mine and she is amazing! 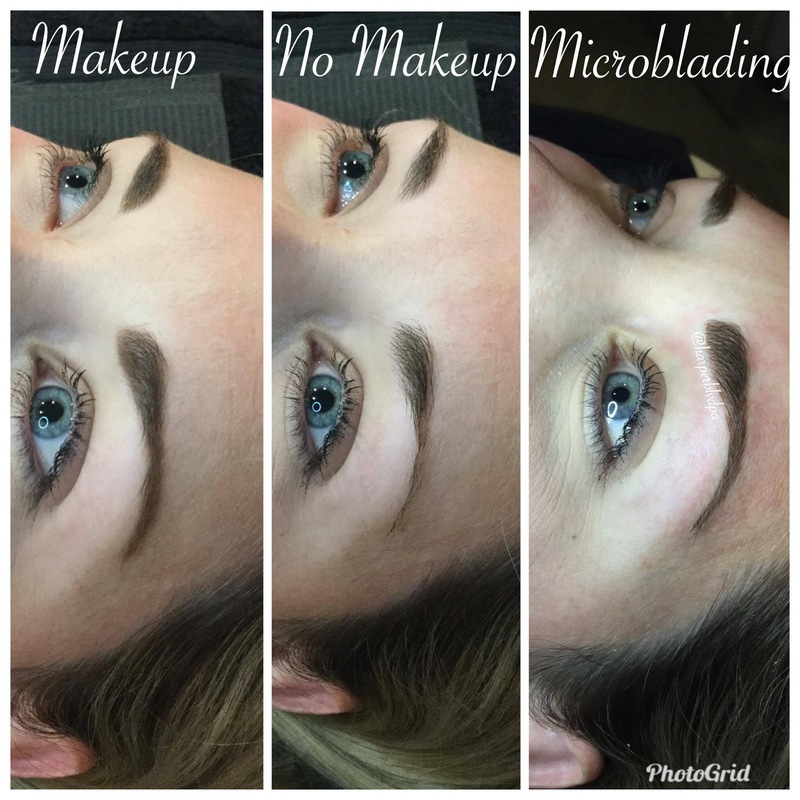 She has even started holding classes to teach others her microblading technique! The price can range, however don't try to find the cheapest person out there. You get what you pay for and you want someone who knows what they are doing! This is permeant make-up and you want it to look good! 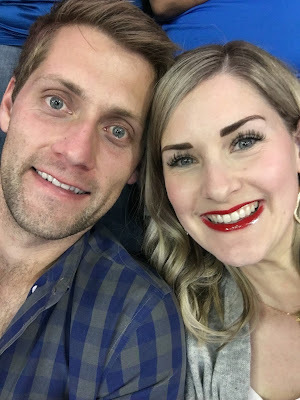 If you are in the DFW area, Amanda charges $600 BUT if you mention my name, she will give you 20% off coming out to $480. 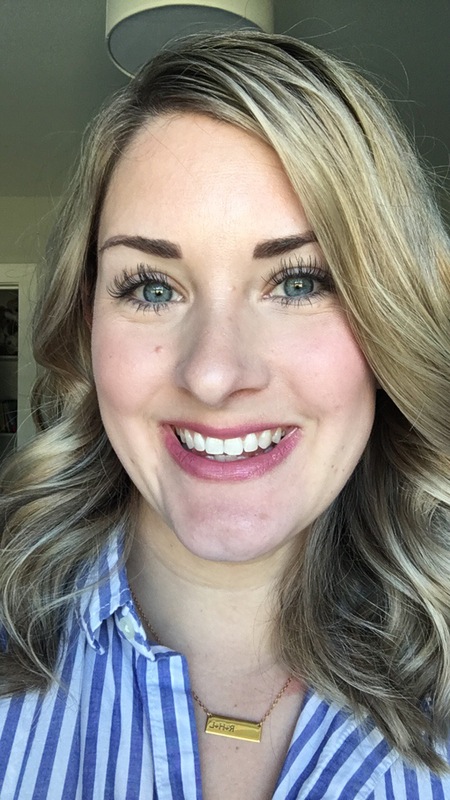 If you’re looking to book with Amanda, she is currently taking appointments at her salon, Harper Blvd Spa. 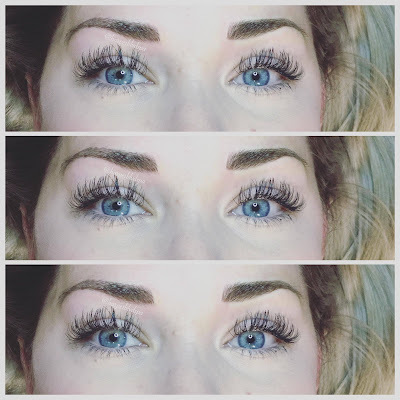 Click here to book or call her at 972-383-9772. Semi-permanent means that the ink will fade within a 1-2 year time frame depending on your lifestyle and how well you care for your brows and face. It does not last forever and to keep the desired results for a longer period of time you will need to get them touched up yearly. 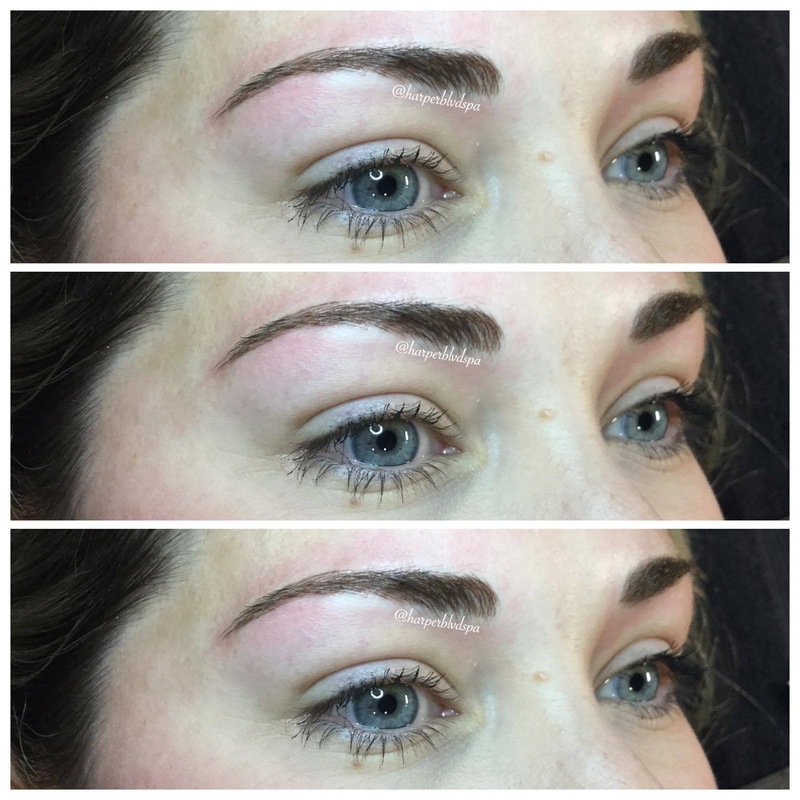 When you get to your appointment you’ll talk about what your desires are for your brows. I took along a few examples of what I liked so Amanda could see what I liked. In the end, your technician should be trained to know what sort of overall shape you should have and what fits your face. 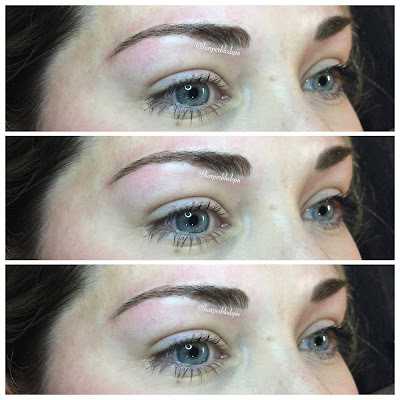 You can help dictate thickness and the fullness of the brow, but the shape is best left to your technician. A good technician will talk you through what they think. I will say the first time she recommended the shape and size and I said I thought it was too much. But in the end she was right. When I came in for my touch up I had her do what she wanted to do the first time and it looked amazing. The technician will then choose a pigment color and by matching to your complexion and current eyebrow hair color. Then they will have you lay down so they can map your eyebrows before starting to make the cuts! A single pass is this process on BOTH eyebrows: Cuts on each eyebrow – application of a layer of pigment – wipe off pigment – apply lidocaine to each eyebrow – and repeat. 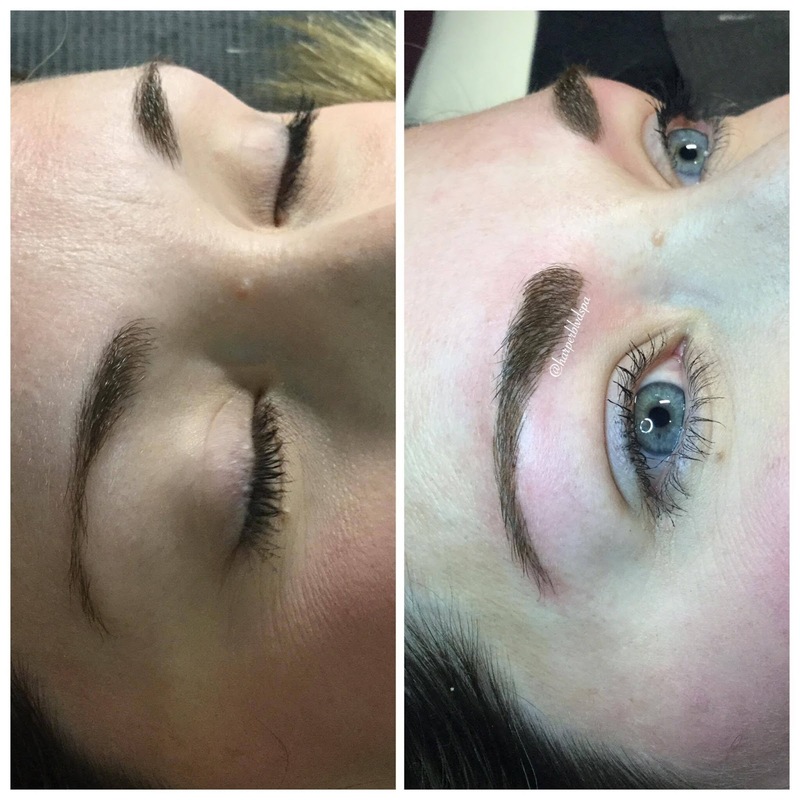 I'm pretty sure Amanda did 2 passes and then the shading technique to fill in the sparse places. I actually came in with a full face and Amanda just cleaned the makeup off my eyebrows before starting. My eyebrows were sore. If I scrunched my nose I could feel how sore my eyebrows really were. When I did the after care washing I had to be very gentle with them for a few days. It’s true that there’s an “ugly” period following the procedure. They are very thick and very dark! This picture was the day after my touch-up session. Very dark! Amanda provided an after care instruction sheet and also the emotions I'd feel as they healed. It was pretty spot on! It typically sets in around days 2-5. Everyone heals different and responds differently, but for me I didn't feel that days 2-5 were that bad. Some individuals might experience redness and slight swelling due to sensitivity. There is definitely scabbing. I didn't experience it that much after the first treatment, but I was very viligant with applying aquaphor for the first few days so there wouldn't be that much scabbing. During the scabbing part (days 2-5) you’ll feel like your brows are darker than normal and pretty dramatic. I found if I did the rest of my make up it didn't look as bad. I knew they would fade as they healed, which they definitely did! 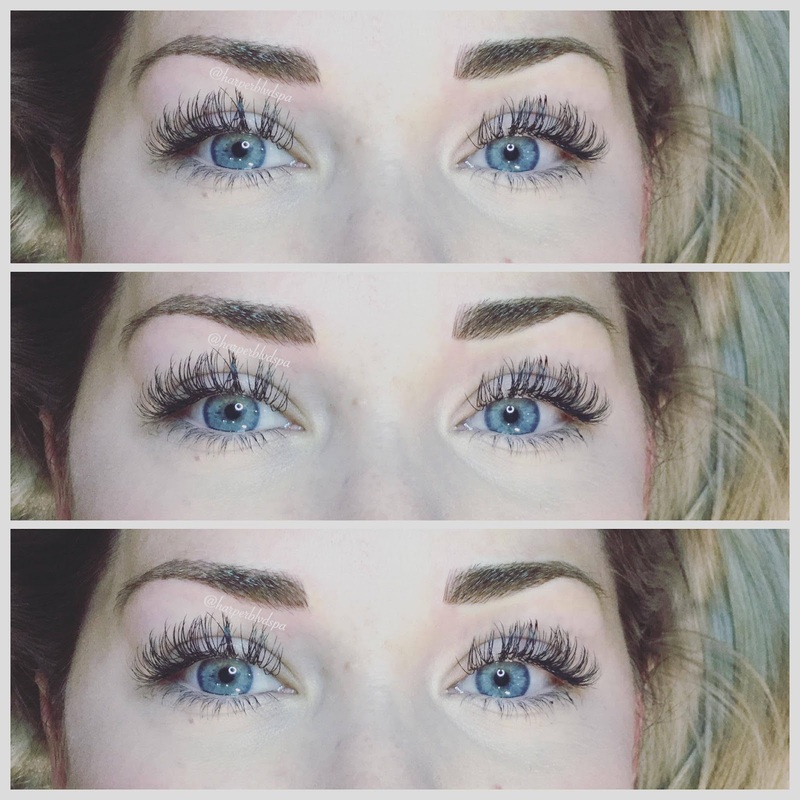 Follow the advice of your technician and you'll have some amazing results! The procedure itself takes about 2 hours (give or take) it depends on what you need to have done and how many questions you have for the technician prior to the process. 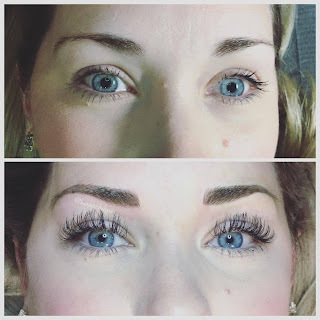 After the initial procedure – you'll wait a month then you’ll go back in for a touch-up which is crucial to the final look. In the end I am very happy with my results! Amanda is so much fun to hang out with as she does my sessions and we always have fun! 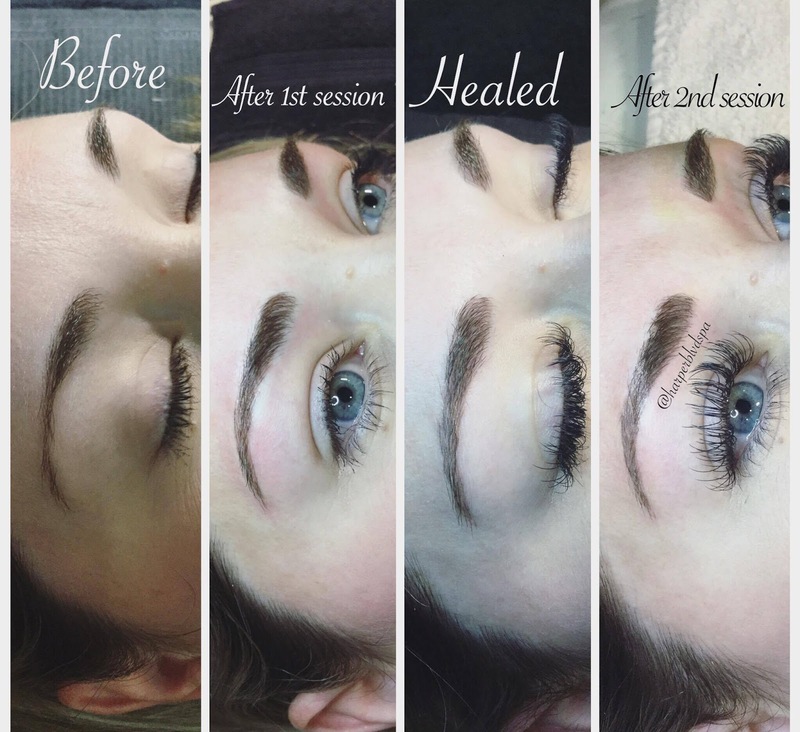 Want to win a microblading session with Amanda? Make sure you head over to my Instagram to get entered! Its really fascinating. I have heard about microblading recently. I am searching for information. After reading your article its make clear sense to me.